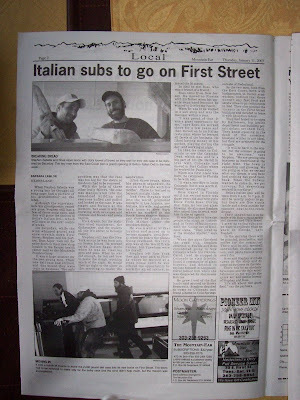 Check out page two of the January 19th edition of the Mountain Ear for an in-depth article on Stephen and Ross' journey to becoming deli owners. Who are these two geezers? lol.It looks awesome guys,you deserve it. The picture in the paper looks awesome. How is my sign doing? Hey! I found your site all the way from Newburyport Massachusetts and I have to say that I'm a little jealous of all your mountains, greenery and yummy food! I definitely need to stop by your wonderful town someday! 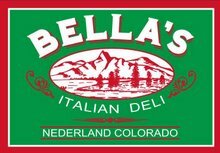 Good luck with Bellas!